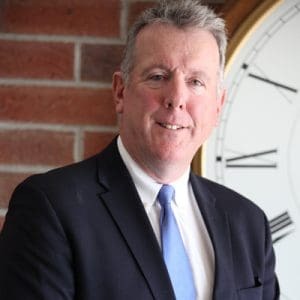 Attorney Barry R. Crimmins is the principal of the Law Offices of Barry R. Crimmins, P.C., with offices located in Stoughton, Falmouth and Hyannis (Cape Cod), Massachusetts. His practice has focused for over 30 years on Estate Planning, Estate Administration, and Elder Law and Medicaid Planning, where he has assisted many elders and their families in long-term care planning and asset protection, as well as younger families and retirees with all aspects of Estate Planning. In addition, Attorney Crimmins has extensive experience as both a real estate broker and an attorney in the areas of Real Estate Law, Land Use Planning and Development, and Municipal Permitting, where he has represented a wide variety of both residential and commercial developers and property owners and businesses before various municipal boards and commissions, along with issues related to purchase and sale agreements, leases, and other landlord-tenant issues. Attorney Crimmins is a member of the Massachusetts Chapter of the National Academy of Elder Law Attorneys (“NAELA”). He is also a member of the Massachusetts Real Estate Bar Association (“REBA”) and serves on its Land Use and Zoning Committee and on its Estate Planning, Trusts & Estate Administration Committee. He also serves on the Probate Law Section Council of the Massachusetts Bar Association (“MBA”), having previously served on the MBA’s Property Law Section Council. Attorney Crimmins is also a member of the Massachusetts Bar Association, the Plymouth County Bar Association, and the Bar Association of Norfolk County. He has served for over 20 years as an elected member of the Stoughton Housing Authority, currently serving as Chairman, and previously served on the Legislative Committee for the Massachusetts Chapter of the National Association of Housing and Redevelopment Officials (“NAHRO”). He also serves as the Housing Authority's representative to the Stoughton Community Preservation Committee. Attorney Crimmins earned a Bachelor of Science degree in Accountancy from Bentley College in 1980 and earned his Juris Doctorate degree from New England School of Law in 1986. Attorney Crimmins is a life-long resident in his home town of Stoughton, Massachusetts, where he resides with his wife and two children.